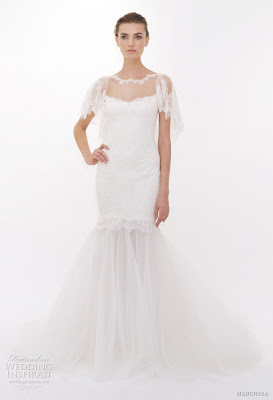 Marchesa is one of the most famous wedding dresses brand around the world. It was established by Georgina Chapman and Keren Craig in 2004, and it specializes in high end womenswear. 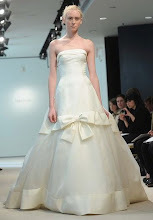 It is attracted high attentions at every year New York Bridal Week. A large number of Hollywood actresses love this brand, they has worn its dresses on the red carpet, including: Penelope Cruz, Blake Lively, Jennifer Lopez, Kate Hudson, Cameron Diaz, Selena Gomez, Halle Berry, Leighton Meester, Rihanna, Eva Longoria, Taylor Swift, Miley Cyrus, Olivia Wilde, Kristen Stewart, Hailee Steinfeld and Sandra Bullock at the 2010 Academy Awards, where she won Best Actress and was also named among the best dressed. 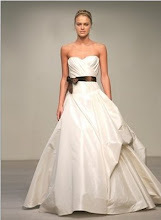 Marchesa is high designer wedding dress brand. And it sold high quality and amazing dresses around the world. Its stores include Neiman Marcus, Bergdorf Goodman, Saks Fifth Avenue and Net-A-Porter, in the US. 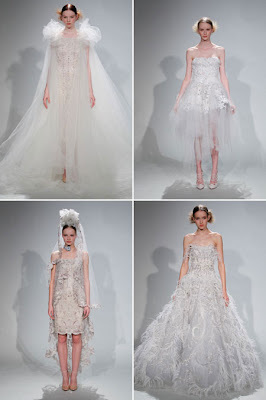 Let us see what surprise Marchesa brought us at this New York Bridal Week 2012, and How amazing these wedding dresses would be! 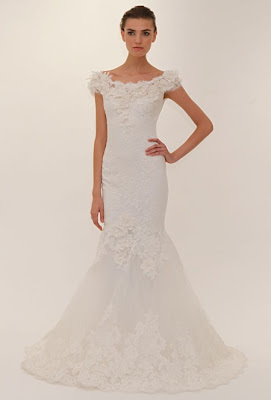 Marchesa wedding dresses are so charming and elegant, Focus on the details of the making process! It wins brides' love!